"Better ball" is a name for a golf competition format in which two golfers play as a team, but each playing his or her own ball throughout. On each hole, the two golfers on a team compare scores. The lower of the two scores - the better ball - counts as the team's score. On the first hole, A scores 6 and B scores 5. B's 5 is the team score on Hole 1. On the second hole, A scores 4 and B scores 6. A's 4 is team score on Hole 2. So the team's aggregate score after two holes is 9. And so on, counting the better of two teammates' scores on each hole as the team score. Add up the strokes at the end of the round for your side's better ball score. The USGA covers handicap allowances for better ball stroke play in Section 9-4b(ii) of the USGA Handicap Manual. And, the USGA says, the handicap allowance is 90-percent of course handicap for men; 95-percent of course handicap for women. You can play stroke play better ball as gross or net at the group's choice, depending on how close everyone is in ability. 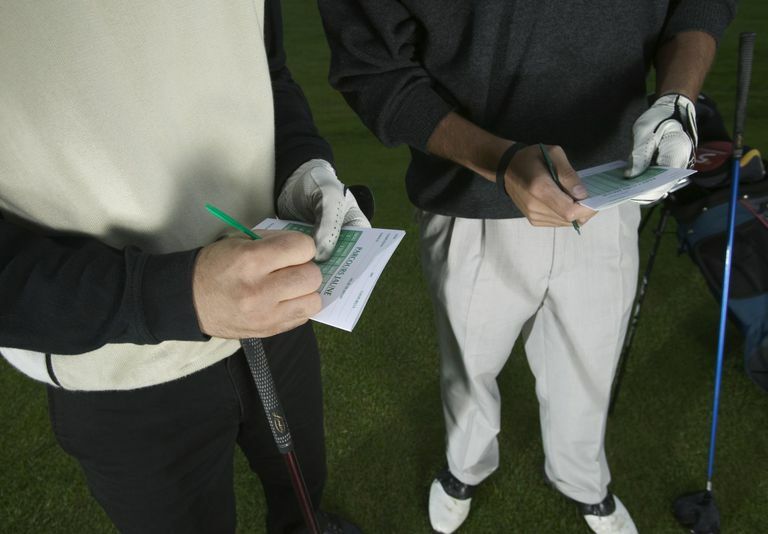 In a tournament setting, net scoring is common to account for different levels of playing ability across the field (unless it's a higher-level tournament comprised of low-handicappers or scratch golfers). When better ball is played as match play it is more commonly called fourball. And fourball is one of the formats used in the Ryder Cup, Presidents Cup, Solheim Cup and other prominent international golf matches. To play better ball match play, two golfers - we'll call them A and B - partner against two others, C and D.
On the first hole A scores 4 and B 5. The A/B team's score is, therefore, 4. C scores 6 and D scores 5. the C/D team's score is, therefore, 5. So A/B wins the first hole against C/D, 4 to 5, going 1-up. And so on, until one side clinches victory in the match. 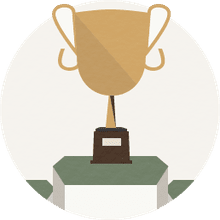 "Allowance: The Course Handicap of all four players is reduced by the Course Handicap of the player with the lowest handicap, who then plays from scratch. Each of the three other players is allowed 100 percent of the difference." What's the Difference Between Better Ball and Best Ball? In terms of stroke play, the difference is really just grammatical. When comparing two objects - or, in our case, two golf scores - the appropriate superlative is "better." But when comparing three or more things, "best" applies. So a tournament called Better Ball implies 2-person teams; one called Best Ball implies 3- or 4-person teams. In match play, the difference is that 3- or 4-person teams almost never play match play against other 3- or 4-person teams. That would require 6-somes or 8-somes on each hole, after all. Better Ball can be either stroke play or match play; Best Ball is almost always going to be stroke play.